LG is coming with its new flagship phone, the LG G5, and Android enthusiasts across the globe are excited about the device. 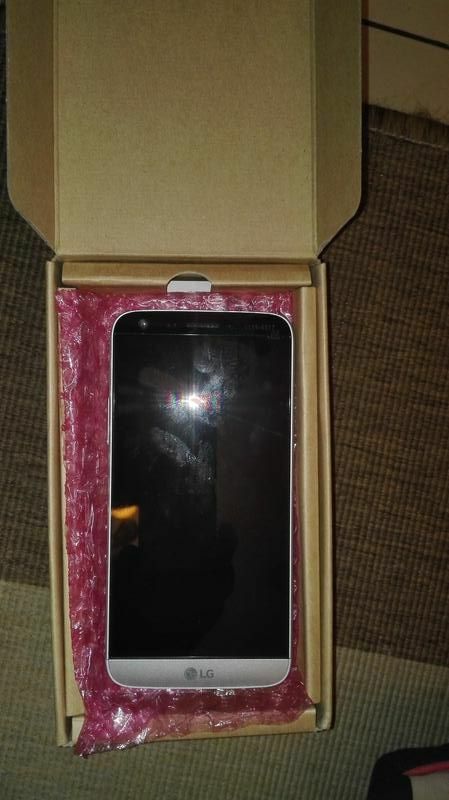 In the past, we have seen leaked images of several devices like the Galaxy S6 and the S6 Edge from Samsung, Nexus 5X and Nexus 6P and similar devices before its actual release. 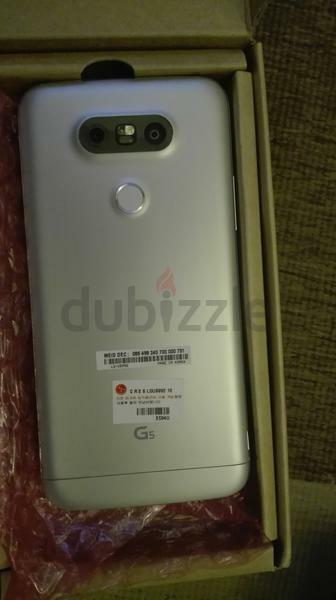 However, now the first leaked photos of LG G5 has appeared online. 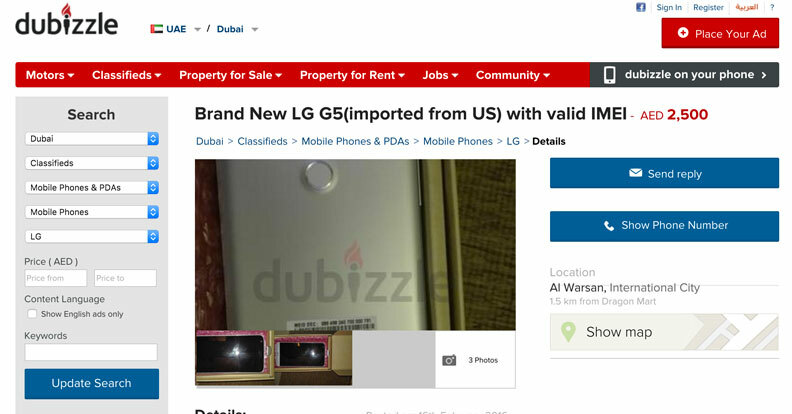 The photos of LG G5 appear on a Dubai-based buy and sell website and the device is actually for sale. So, has the first LG G5 images really been leaked? It seems from the images that the design of this device is near rumors that surround it. The three alleged photos of the LG G5 may seem fishy, but are worth taking a note. Take a look at the rear view of the device. On one hand, they correspond almost perfectly with what is expected of the phone. At the rear, you can see the camera, round fingerprint sensor reminiscent of Nexus 5X and photo sensor besides the flash and a laser autofocus. The physical buttons do not appear at the rear. Instead, they have been shifted to the left edge. On the front, it is still difficult to say. Indeed, it is quite hard to distinguish the screen and the second screen. These photos of the device resemble the first sketch insights on the canvas. The strangest is undoubtedly the website where the pictures were found on, a Dubai-based e-commerce website. 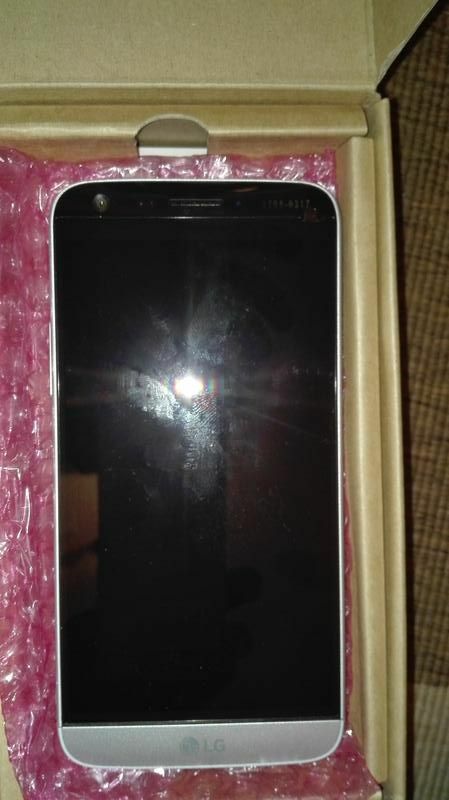 The seller says that the phone is new (and legit) and has been imported from the United States. The seller is not afraid of anonymity and all details are freely accessible on the ad. Previous Entry Should You really Update the VoLTE OTA on YU Yuphoria?